Many BPO providers have already invested heavily in robotic process automation (RPA), providing an opportunity to renegotiate your BPO contract to reflect the cost savings they are making as a result. But there’s more. Contract renegotiation also creates an opportunity to leverage providers’ investment to accelerate automation in your own business. 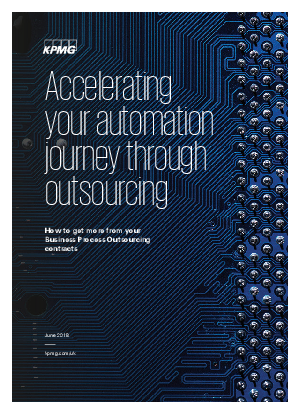 three options for starting your automation journey.